Autumn has come to the Northern Hemisphere. Though the leaves have yet to completely turn where I live, I’ve noticed a few trees beginning to showcase the pallet of fall. Reds, oranges, yellows, and everything in between fill the landscape. Many stand in awe of the beauty of creation during this season. Some peruse nature to soak in the wondrous sights of various hues. Those who claim autumn to be their favorite season often pinpoint this colorful splendor as one of the reasons for their choice. But as I viewed the trees this past week, a strange thought came to me about this season. The beauty of fall is the transition from the lush green of life, coming from summer, to the cold, dark season of winter, representing death. The preparation for the dark times, which are soon to come, causes a new beauty, which is hidden during the times of plenty, to come to the fore. 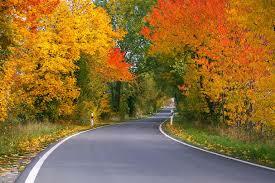 Without the dark nights of winter, the full extent of splendor found in the colors of autumn would remain hidden. This isn’t to say that the new life of spring or the green of summer aren’t beautiful in and of themselves. Rather, there’s a secret beauty found in life that’s about to experience a dark season. I believe this is true, not just for the leaves of fall, but also for we who succumb to the effects of the Fall. Death came as a result of our original ancestors choosing to disobey God. Life and continued growth cut short because of sin. All of nature groans for the time that Jesus will return and it, along with humanity, can be returned to the glory it once had before the Fall of humankind. Yet even in this dark state of terrestrial creation, God weaves his beauty. 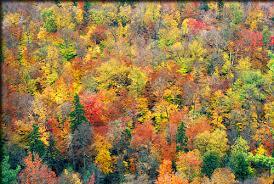 This too, is not just for the trees about to stand barren during the harsh winter months. God does this for we who are his representatives on this earth. Hidden strength and abilities appear as the harshest of times come. Families rally around a member with a disability. True relationships bond deeper when struggles begin. Godly faithfulness shines forth the brightest during the darkest of nights. The most willing to sacrifice are those who have little to give. Books have been written about martyrs of many generations, those who stand faithful in the midst of persecution. Proclaiming the truth of God even as Death tastes their flesh. Each and every story so vibrant in coloration that tears form in the eye. The pallet of trying and difficult times showcases that which God has planted within us from our very creation, but has not yet been seen. His glory, his beauty, shines through us as we cling to him during our seasons of darkness. There’s a secret beauty in life that’s about to experience a dark season. If we’re about to experience this type of season, or are already there, let the beauty that God has long placed within us come to the foreground. Let the landscape be filled with the hidden colors of a fallen humanity eagerly awaiting our Savior’s return.